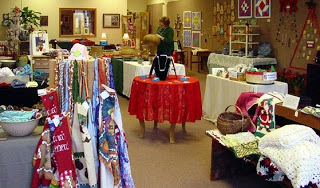 The show, taking place at the McDowell Arts Council Association (MACA) features the work of 10 McDowell County artisans exhibiting pottery, woodworking, basketry, jewelry, textile arts and other fine crafts. Free admission. The McDowell Arts Council Association (MACA) is located at 50 Main Street in historic downtown Marion. For more information, call 828-652-8610. This entry was posted in Uncategorized and tagged art, festivals and special events, Winter by Inn on Mill Creek. Bookmark the permalink.